Day 257, DeOccupy Honolulu. 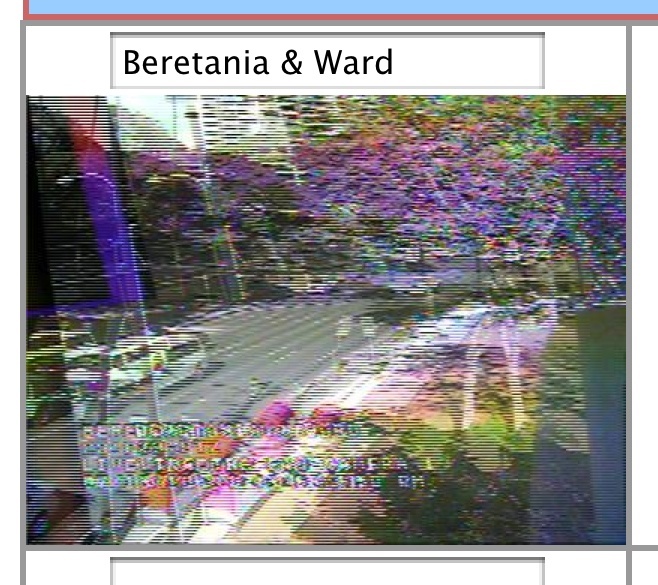 I couldnʻt be at Thomas Square today for the expected seizure/tagging raid by Honolulu Police and the Department of Facilities Maintenance, so I followed along on Honolulu City & Countyʻs "traffic cam" of the area. The encampment was abbreviated in preparation of the seizure raid, and also because there is currently a second encampment in front of Kamehameha Schools Kawaiahaʻo Plaza protesting Bishop Estate landlord injustice. I followed along also on livestreamer "iZombies" livestream of the raid. And when the police and DFM crews went to the Kawaiahaʻo encampment I switched to livestreamer "RebelutionNovaʻs" channel. My five photo Flickr set also has links to the recorded livestreams. I long ago noticed that the camera was almost never focused on the traffic. Itʻs usually focused directly on the DeOccupy Honolulu encampment. This is creepy in some ways, and in some ways, not. Mayor Carlisle had some expensive high resolution cams put in for APEC but the image gets deresolved before itʻs served to the public. The one devoted to DeOccupy Honolulu is usually (around 5 out of 6 images) especially blurred out. I did find a (legal) way to access the unblurred image, though. 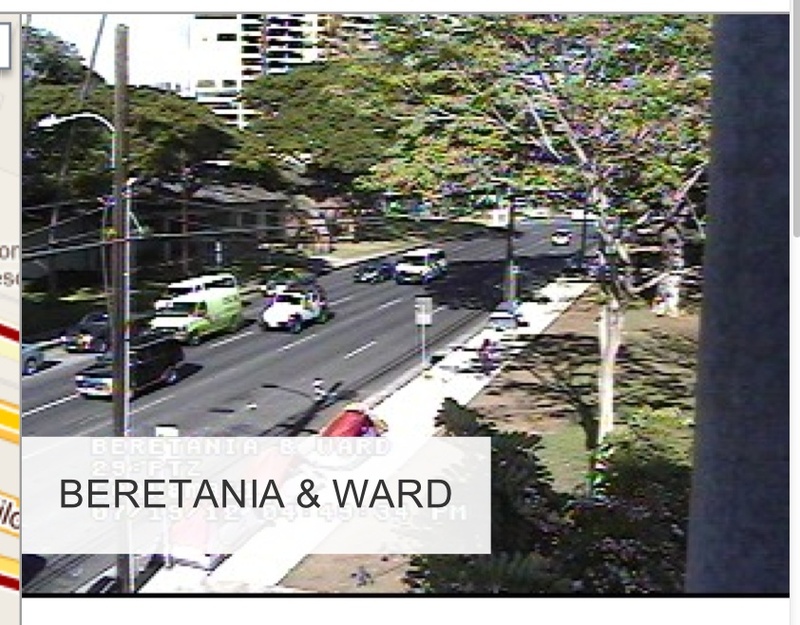 Hereʻs one I just captured from the official "traffic cam." During todayʻs raid, I noticed the camera "zoom" into the action. Check the Flickr set for some comparison shots. For better or worse, weʻre living more and more in public, and Iʻm okay with that. Now, imagine if we could bring this sort of transparency to government! Iʻd really like to see who Mayor Carlisle is talking to or what lobbyist is buying the drinks for my legislator. Or whatever. Maybe a politician will volunteer for some kind of constant live streaming coverage? He/she would be able to turn it off whenever he/she wanted to, but at least the public would either be able to follow or know he/she had killed the feed. What think you? "For better or worse, weʻre living more and more in public, and Iʻm okay with that. Now, imagine if we could bring this sort of transparency to government! Maybe a politician will volunteer for some kind of constant live streaming coverage?" Wouldn't that be nice! Let me know when someone volunteers!